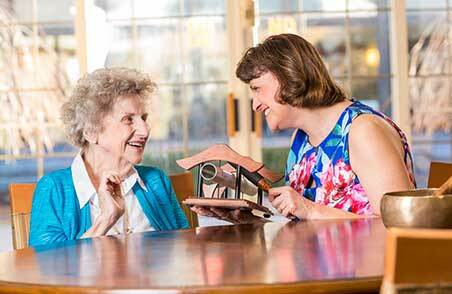 We offer independent living, assisted living, memory care, skilled nursing care, rehabilitation, long-term care, hospice care and respite care. What are the benefits of a continuum of care? Living on a continuum care campus ensures that your needs will be met, even as circumstances change. At The Normandy, you can age in place with peace of mind that you have preferred residence at all of our buildings once you are part of our community. What will happen when I need to change my level of care? The Normandy works closely with residents, family members and decision makers. If there is a change in a resident’s care plan, a family meeting will be held and an action plan developed to accommodate any new needs. The Normandy has mandatory assessments to help determine which building is right for you. We work closely with primary care physicians to ensure you are in the right place with the right care team around you. 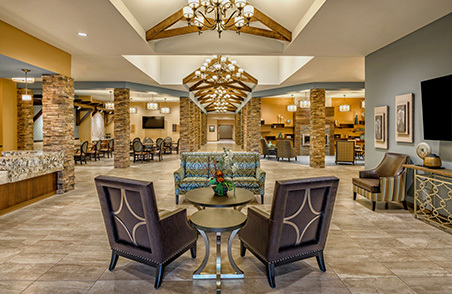 What makes The Normandy different than other senior living communities and nursing homes? 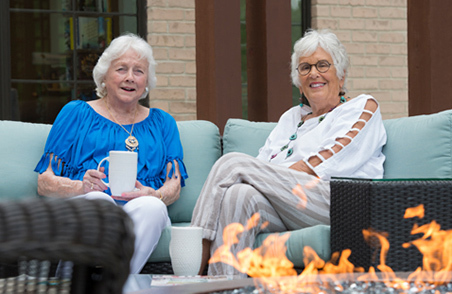 The Normandy Senior Living is a continuum of care campus with an expansive list of services. Our physicians and experts focus on holistic health and wellness, including healthy eating, social activities and educational classes. Can you help provide a doctor? You will maintain all of your own doctors. If you are moving from out of state or are looking for a new physician, you can choose to be seen by one of our medical directors or choose from our list of geriatric doctors in the area, some of which visit the campus regularly. Our visiting hours are 24 hours, 7 days per week. We do not have a limit on the number of guests. However, we ask that you use good judgement. We welcome your family pet and ask that your pet be on a leash and have all current vaccinations. Call us at 440-333-5401 and select the extension for the building you are interested in. A representative will provide you with the information needed to book a tour and discuss the application process, as it varies from building to building. Not sure where to begin? Visit Breakwater Apartments, Lakeside Assisted Living or The Normandy Care Center to learn more about the level of care and special features available at each building.